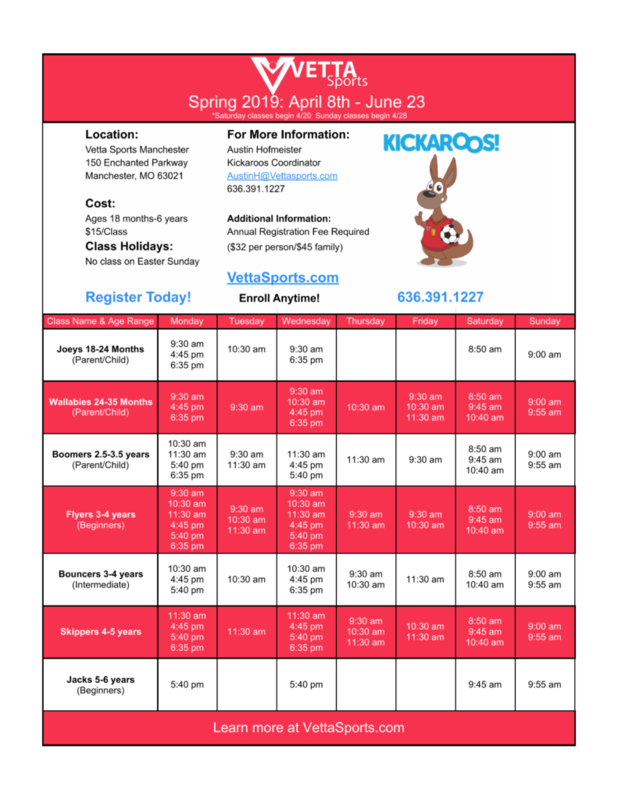 Kickaroos Spring session is now open for enrollment! 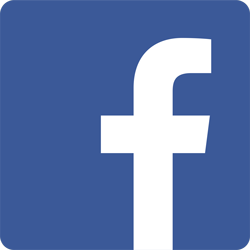 Do not miss your chance to be part of the best child development program in St. Louis. 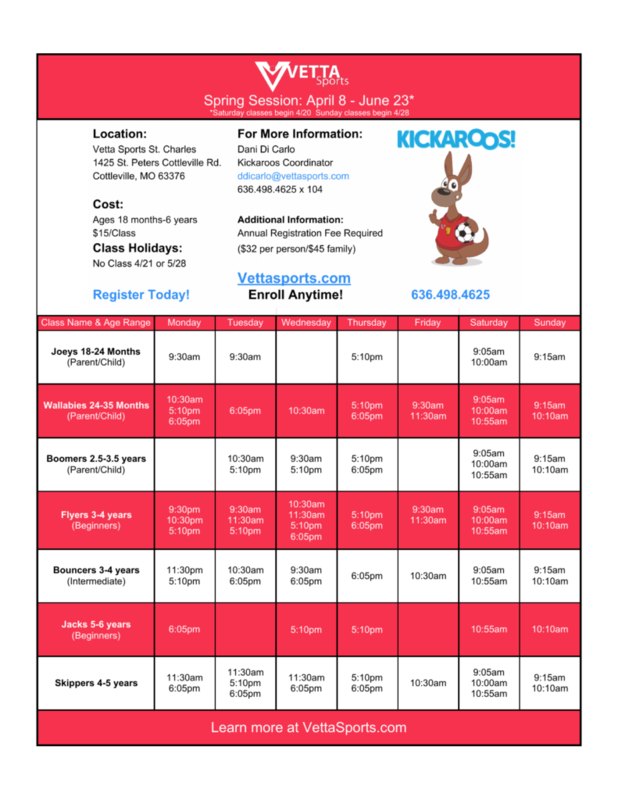 Register online at VettaSports.com/kickaroos! Check out our upcoming class offerings below. Remember the class days and times are available on a first come, first serve basis. 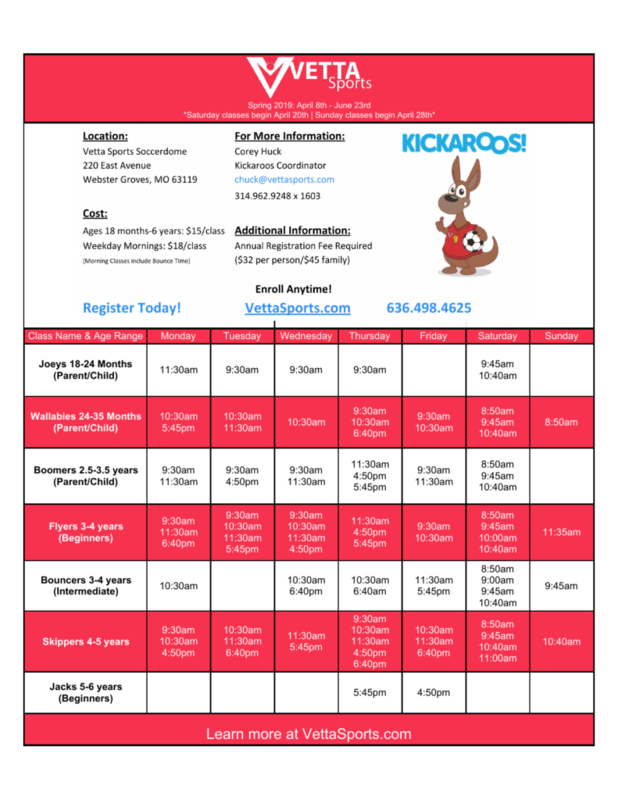 Sign up today at VettaSports.com/kickaroos. Classes are age- appropriate and FUN! Classes run year-round. 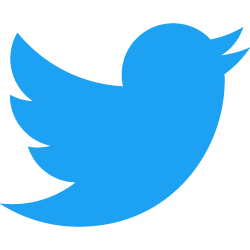 Convenient class times are available on weekdays and weekends to accommodate your family’s busy schedule. 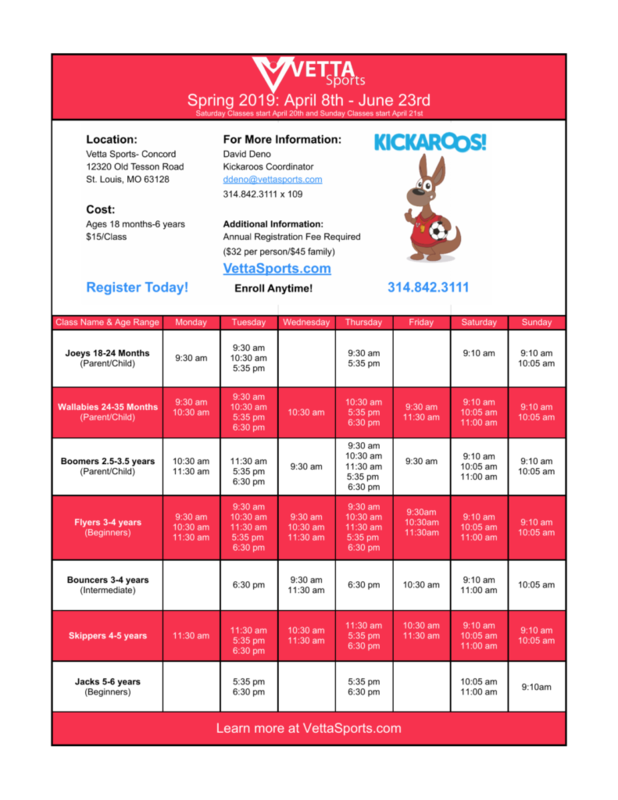 Kickaroos builds strong fundamental physical skills, teaches teamwork and cooperation, and inspires confidence- all in an atmosphere where kids are successful and learning is fun. Not sure if your child’s ready? Click here to book your free trial class. 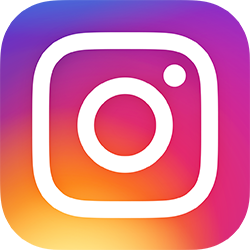 Discover why folks love Kickaroos today. It’s more than just soccer. Visit our website at VettaSports.com.